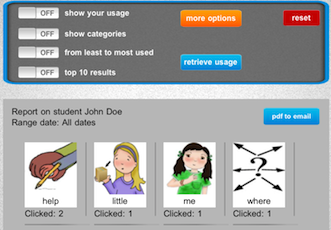 Teachers and parents have the ability to lock the screen with a password so users cannot leave the application. 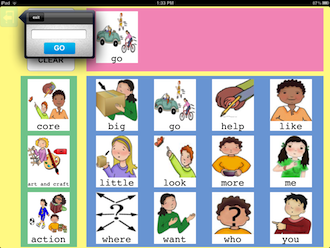 Teachers and parents have the ability to choose from several layout and image size options. 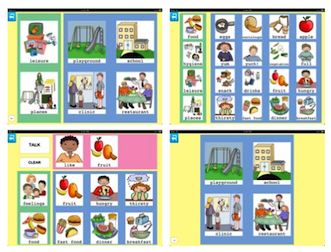 This feature helps children who are non verbal or minimally verbal and adults with stroke and traumatic brain injuries to use the visual layout that best fits their needs. Also people who are visually impaired can benefit from the larger image size. See the possible configurations by clicking here. 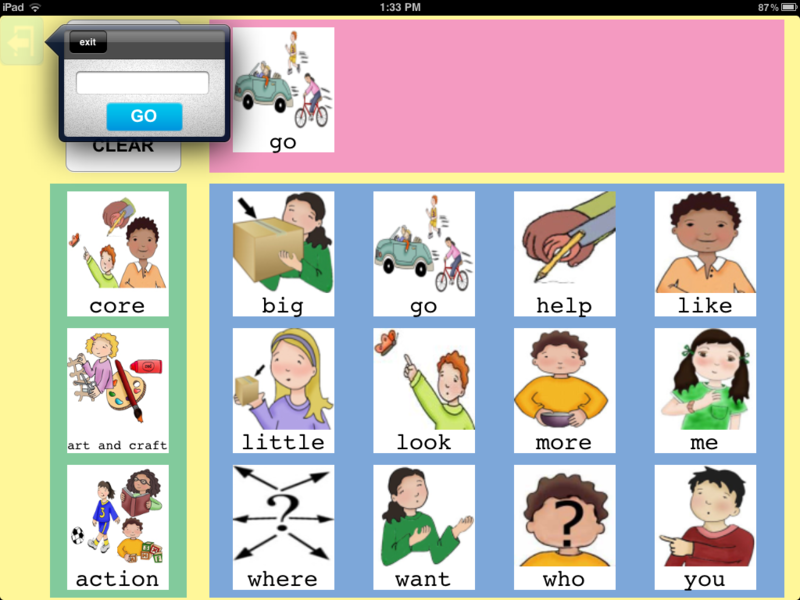 Teachers and parents have the ability to add a colored border to each of the images. Although I Click → I Talk provides the predefined colors for the Fitzgerald and the Goosen keys, custom colors can also be used. 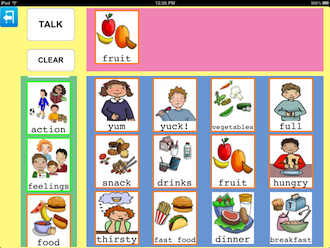 Teachers and parents have the ability to create images that contain only text. 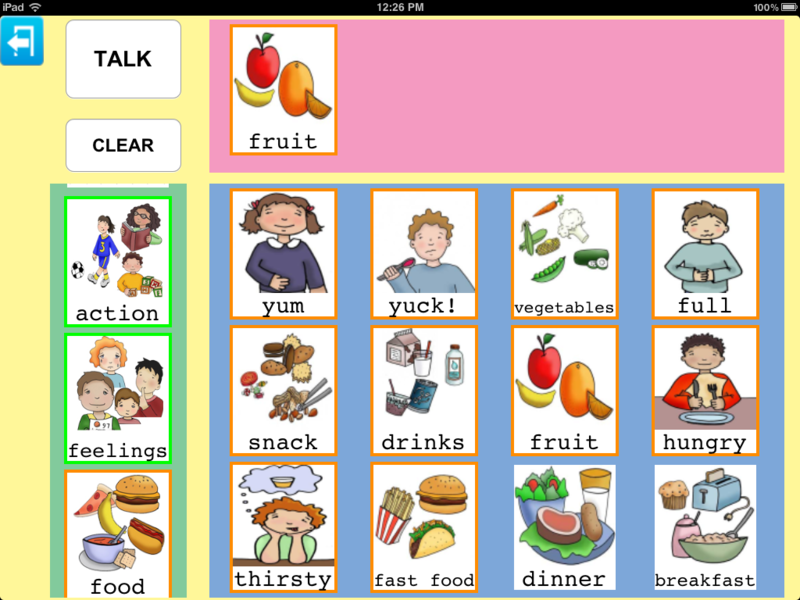 This feature helps with the development of language. 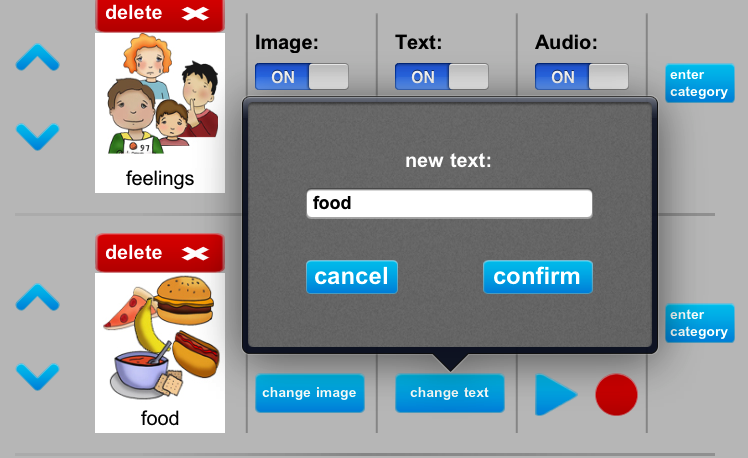 Teachers and parents can start by showing images, then they can introduce the text below the image and finally remove the picture and display only text. 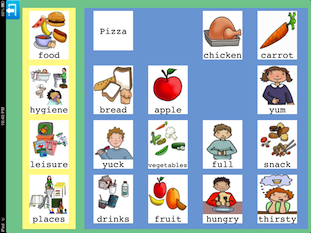 Adults with stroke and traumatic brain injuries can use text only images. See the possible configurations by clicking here. The placeholders distance images from one another. See the possible configurations by clicking here. 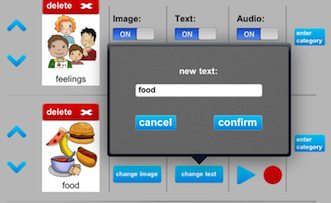 Although I Click → I Talk comes with 70 preloaded images with audio files, teachers and parents can still record their own voices. 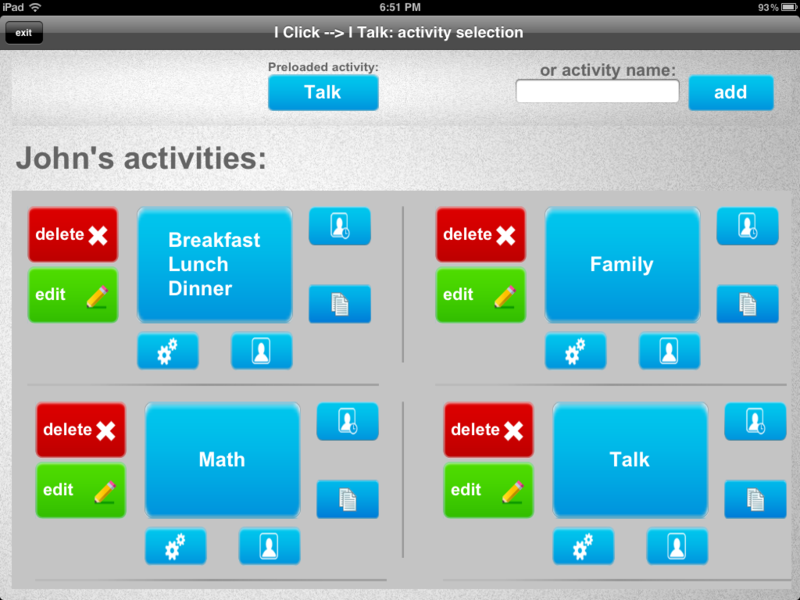 This feature allows non-English speaking children to use I Click → I Talk. 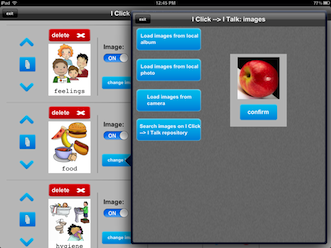 Teachers and parents can input text below any image. 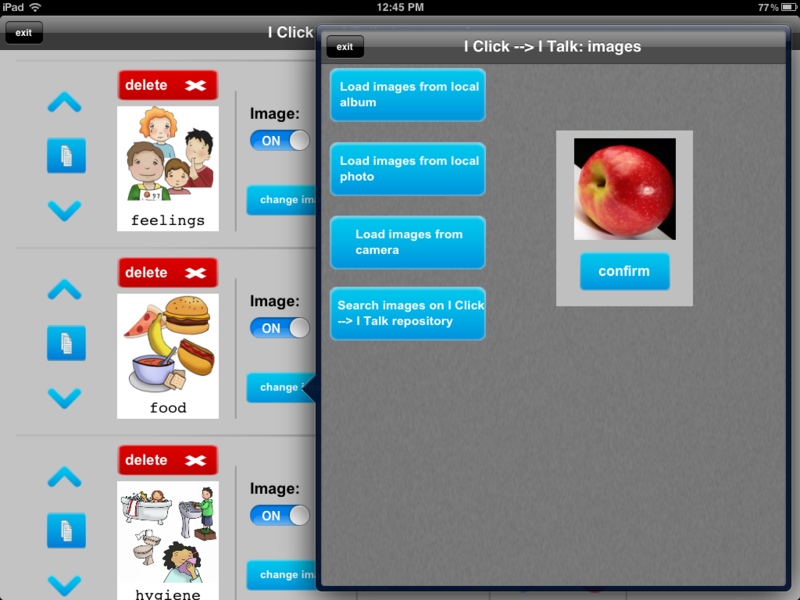 Similar to the feature above, being able to write text in different languages allows everybody to use I Click → I Talk. Teachers and parents can import and crop their own images/photos or replace preloaded images using those with which the child is already familiar. They can also take pictures using the camera of the device. I Click → I Talk provides free access to an on line repository of over 1000 cartoon-like images even in black and white. Teachers and parents can create different activities in order to effectively develop educational lessons that can help the child or adult improving his/her communication skills. 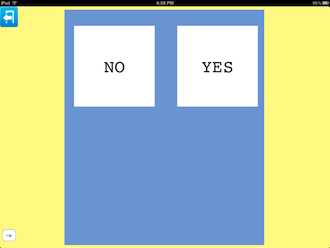 This option is available for the iPad versions only. Learn more about it by watching our tutorial. Click here to watch. 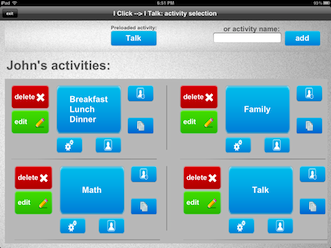 The multi-student version of I Click → I Talk offers teachers, speech pathologists and school systems the opportunity to use one device with multiple students by creating personalized profiles for each individual student.